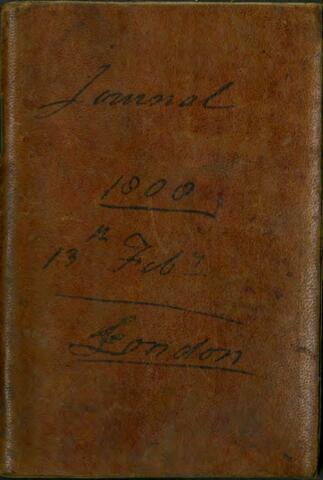 This personal journal written by James Dinwiddie spans the period of February 13, 1808 to August 15, 1808. Dinwiddie records his stays in London (Feb. 13 - Jul. 12, 1808), Dumfries (Jul. 13 - Jul. 25, 1808), and Edinburgh (Jul. 26 - Aug. 15, 1808). This file consists of one journal.